The Walking Dead. You might watch it, you definitely know about it, and the new season premiered this past Sunday night. 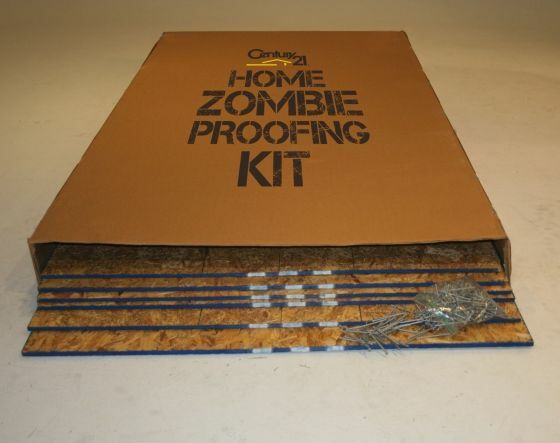 Perhaps-not-so-coincidentally, Century 21 chose this week to unleash a new online stunt - a "Home Zombie Proofing Kit" you can purchase on eBay. It's mostly plywood and nails, but it's pretty clever way to take advantage of zombie-mania...even though we all know 7/16 inch particle board would never hold up against the wrath of the undead.